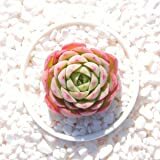 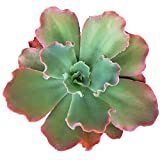 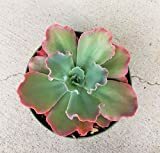 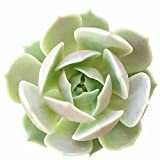 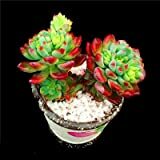 Echeveria Ruffles growing succulent leaf plant of the genus Echeveria, Echeveria Ruffles perennial evergreen used as ornamental drought tolerant plant, can grow in mediterranean, desert, subtropics, temperate or tropics climate or houseplant and growing in hardiness zone 9+. 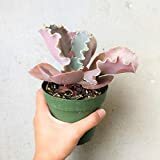 Leaves color can be: green, green with red or purple edge, purple with green darker edge, the shape wedge and the leaves wavy to curly, the plant remind coral in the structure. 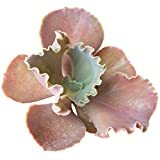 Flower color purple and grows on stems in clusters.